Amaya might not be a brand that you are instantly familiar with, but they are in fact one of the biggest and most successful software companies in the industry. In fact, in 2014 Amaya purchased the parent group of both PokerStars and Full tilt Poker in a deal reportedly worth around $4.9 Billion. At the end of 2017 they wrapped up all of their interests under one new name, The Stars Group. The company are based out of Canada and have been around since 2004, providing a mix of casino, poker and sports products to a now vast array of companies. In fact, they now offer up products to over 300 different companies worldwide. The software that has been designed is compatible with Windows, Mac, and mobile products, with players from around the world able to access the Amaya brand. As mentioned the company works within all sectors of the gambling industry, from providing different sportsbooks, to creating unique casino games. 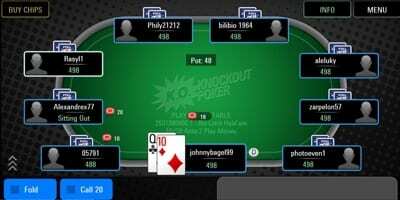 But, it’s probably fair to say that they invest a massive chunk of their resources into the online poker industry, highlighted best by their acquisition of both PokerStars and Full Tilt Poker respectively. The poker software that they have managed to develop has been innovative and extensive, and they have won many awards for their efforts. What makes Amaya unique is that they are able to fully customise a poker room and aren’t one of these companies that use the same format for each, thus making it easy to spot which sites are affiliated with them. Since the acquisition of PokerStars, the company definitely seem to have relinquished their hold on the poker industry somewhat, in terms of whom they work for at least, which has allowed them to almost solely concentrate on their own brands within the Rational Group. When you flip across to their casino side you will notice that the company work almost exclusively with slots games. They have around 120 slots in total, which will range from 3-reel to 5-reel offerings. One of the standout features with Amaya is that they are always on point with their graphics and the bulk of their games really do stand out from the crowd. Interestingly, Amaya also acquired a license to work in collaboration with DC Comic’s, meaning they were the guys behind games such as Batman, Justice League, Green Lantern and The Incredible Hulk; some of the most popular slots in the industry for a time. They accommodate a huge mix of players with each slot that they have produced, with paylines ranging from 1 to 100, grids alternating from 3×3 up to 5×4, and up to 1,024 win lines throughout some of the games. The jackpot games on offer through the Amaya brand are limited, but there are a few lurking about. What’s interesting is that a lot of their titles from the DC comic range were turned into jackpot games, and even progressive games in the past. 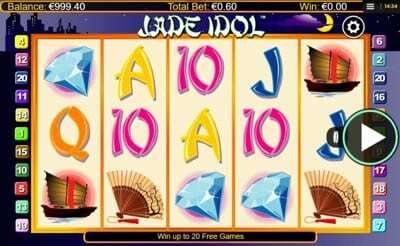 They also follow the practice of a few other companies in that some of their games are inter-jackpots, which means that the jackpot builds as you play that single game individually and not based on activity across the network. This usually reduces the size of the jackpot, but it does increase the likelihood of a payout coming your way. Amaya have probably been one of the biggest success stories over the last decade or so when it comes to software providers. They started life back in 2004 in Canada and in the early days were very much a casino game designer for brick and mortar casinos across Canada and the US. As the industry started to grow and the move into online gaming really started to kick off, Amaya took a chance and shifted a huge proportion of their company’s efforts into this sector. Their goal was to make innovative, exciting, and futuristic games. They also worked really hard on acquiring technology-based companies that were already established in an attempt to maximise growth. This is where the Rational Group came into play, with Amaya acquiring the business and all companies under its umbrella in 2014. The biggest brand under this acquisition was undoubtedly PokerStars, and you could argue that this has really put the company on the map. Taking over the worlds biggest poker room with over 105 million registered customers across the PokerStars brand, now gives them a huge platform in which to showcase their skills. So much so, that in 2017 Amaya decided to rebrand under one collective name that paid homage to its most famous brand, re-naming the company The Stars Group and operating all of its interests from under one roof. The company are truly a global phenomenon these days, with offices in North America, Latin America, Europe, and Asia. As a result, they have licenses or related operating approvals in 16 different jurisdictions around the world and have one of the fastest and largest player basses in the online casino market.